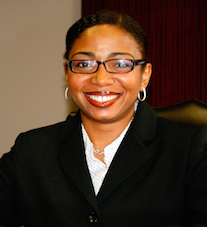 Eartha Jean Johnson is Chief Executive Officer of Risk Mitigation Worldwide, an international training and staffing company she formed in 1997 after practicing law for a Fortune 100 company, and working for the United States Department of Justice and an international law firm. She uses the knowledge and expertise she acquired practicing law to help companies avoid mistakes that can often force them into settlements, regulatory compliance sanctions or litigation. She has conducted numerous training courses, spearheaded governmental audits, designed compliance programs and negotiated settlements with third parties and governmental regulators across the United States. 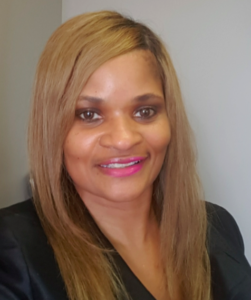 In addition to her Juris Doctorate Degree, she holds a Masters Degree in Energy, Environmental and Natural Resource Law, a Bachelor of Science Degree in Business Administration and an Associate Degree in Criminal Justice. 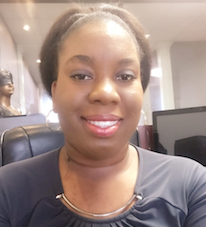 Eartha is certified in Training and Development and is a Senior Professional in Human Resources (SPHR). Eartha serves on the Forum of the Women & Business Enterprise National Council and is a member of the Women Business Enterprise Alliance of Texas and Houston Minority Business Council. Sheila Carr, VP Staffing Solutions, was recruited from a major staffing company to run Risk Mitigation Worldwide’s Professional Staffing Division. She holds a Bachelor’s Degree in Business Management and has more than 20 years of experience in the staffing industry. Sheila was rated as a top recruiter for pretty much her entire recruiting career. She also served in various human resources roles, including District Human Resources Manager for a national corporation where she was responsible for recruiting for 38 company locations. Sheila prides herself in helping attract some of the best and brightest professionals. Her philosophy is to provide exceptional customer service, focus on minute details, and to match candidates with precision. Sheila’s extensive background and experience includes: HR Management, Talent Acquisitions, Strategic Recruiting, Client Development, Consulting, Benefits and Compensation, Employee Relations, Training/Development, Strategic Organizational Planning, Project Management, Process Improvement & Integration, Budgeting/Forecasting, PeopleSoft, Peopleclick and Federal and State HR Compliance. 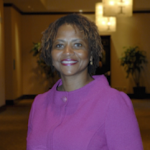 Her volunteer efforts includes serving as an Ambassador for SHRM HR Houston Chapter and HR Gives Back Committees, Houston Minority Supplier Diversity Council’s Expo, Membership and Scholarship committees; Women Business Enterprise Alliance’s Expo Committee, is an Ambassador for Super bowl 2017, Houston, Texas, and handles public relations for a local non-profit. Kayon Hayles has been the primary Executive Assistant to the CEO of Risk Mitigation Worldwide since 2015. She is able to tailor her skills to meet the needs of other executives and partners in the firm. She focuses on the day-to-day business operations and oversees all activities in the office. Her duties include communicating with upper management about the business matters and necessities, ensuring that calendars for events, meetings, and travel arrangements are set and secured, develops and organizes all goods and materials pertaining to the training division of LegalWATCH, and she performs all other administrative tasks necessary for a smooth operation in each division of the company. After attending many presentations on the subject of Legal Avoidance Training by highly qualified individuals, I can truly say that the LegalWATCH style of presenting and training was the best. From Officers of the company to line management, everyone who has attended classes have walked away with a greater appreciation for being better professionals in all that they do and have actually made changes to correct many of their bad habits. Thomas Hernandez, Human Resources Manager, Enterprise Rent-A-Car? The Risk Mitigation Worldwide program gives our employees a better understanding of the possible results of their actions. They can see how a document can be later cited favorably or unfavorably to our company.Risk Mitigation Worldwide’s program addresses things that people just don’t think about sometimes. We’ve had our people tell us that they do things differently than they would have had they not benefited from theRisk Mitigation Worldwide training. We’ve had very positive feedback. Gini Coyle, Associate General Counsel, McLane Co.
All of the information was very useful. This instructor is excellent!!!! Working in the public safety section with sensitive information, this information will be extremely helpful. Excellent training, I wish I had something like this 25 years ago when I began my career at Mobil. 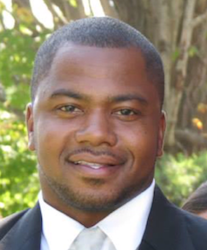 Darcas Reed, Public Safety and Security, Houston Airport Systems? Unbelievable, very helpful. Keeps corporations from paying multi-million dollar claims. Keeps everyone in the corporation aware of how to keep lawsuits from originating, resulting in higher profits for the company. The course really opens your mind to the importance of positive documentation. The part on e-mail was outstanding. I don’t think anyone realizes how critical sending e-mail truly can be. I entered the room thinking that both the subject and the presentation would be dry and of limited use. Boy was I wrong. This was one of the best courses I have attended. Risk Mitigation Worldwide has proved to be an excellent addition to the Houston Fire Department (HFD) training curriculum.Risk Mitigation Worldwide has provided HFD with outstanding, thought provoking and well-balanced methods for managing the department's business through Risk Management 101 and Cultural Sensitivity training. Each time that Risk Mitigation Worldwide has trained our personnel, they always comment that we need more of this type of training and more time. The instructor is engaging, witty, entertaining and smart! The Houston Fire Department is very pleased and proud to be aRisk Mitigation Worldwide client. Ms. Johnson and her team of professionals have the knowledge, experience and the ability to present important legal concepts in a concise, precise and effective manner so that all who attend understand what is being conveyed and why it will make them better supervisors. After attending many presentations on the subject of Legal Avoidance Training by highly qualified individuals, I can truly say that the Risk Mitigation Worldwide style of presenting and training was the best. From Officers of the company to line management, everyone who has attended classes have walked away with a greater appreciation for being better professionals in all that they do and have actually made changes to correct many of their bad habits. 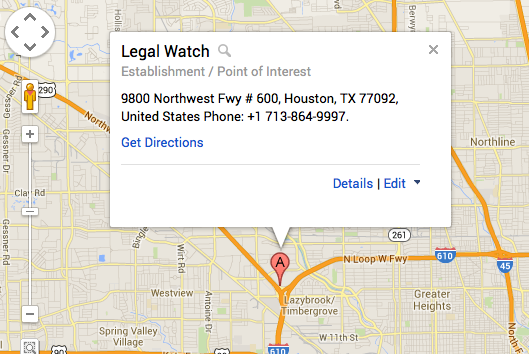 We are more than pleased with the professionalism of LegalWATCH. Jean Johnson's background and experience have clearly propelled her to a level of excellence that enables her to deliver the best in her training classes. The transfer of knowledge from classroom to workplace is evident in our employees who have participated in a Risk Mitigation Wordwide training. The Risk Mitigation Worldwide program gives our employees a better understanding of the possible results of their actions. They can see how a document can be later cited favorably or unfavorably to our company. Risk Mitigation Worldwide’s program addresses things that people just don’t think about sometimes. We’ve had our people tell us that they do things differently than they would have had they not benefited from the LegalWATCH training. We’ve had very positive feedback.